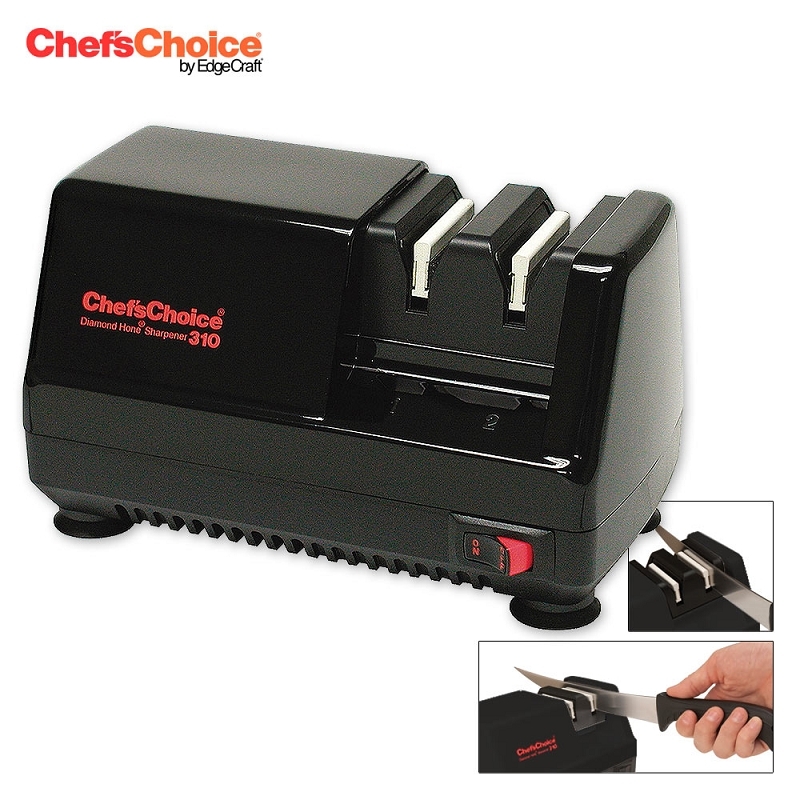 This 2-Stage electric knife sharpener uses orbiting 100% diamond abrasives and foolproof Bi-Level magnetic guides to give knives sharper, longer-lasting edges. Safe for quality knives. Sharpens full blade edge of kitchen, pocket and fishing knives. One year limited warranty. UL or ETL and Canadian Approval. Assembled in the U.S.A.